No man is an Island and maybe that is true, we always need someone to lean on, and shoulder to cry on, being in a relationship with the right person is the happiest moment of your life that you want to spend the rest of your time. Relationship one of the most incredible and beautiful things that two people can have. The couple shares inexpressible love. Still, sometimes they cannot realize that some problems pop in. even though the problems seem small and negligible at the beginning, after a while they actually grow into a big strong mountain. There are several signs in each relation which clearly indicate the problems in some relationship. One of those signs is the way two people hug. 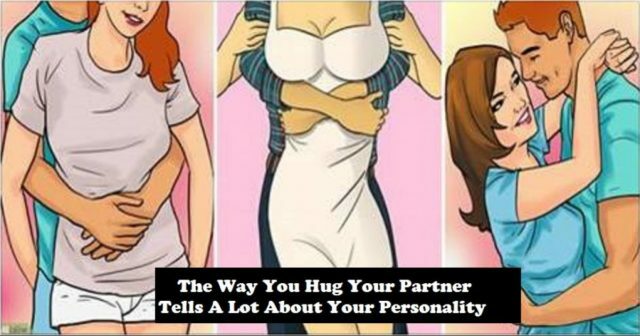 It is fact that there are many different types of hugs that suggest different traits of the relationship. Continue with reading and find out more. This hug is most known by the name Deadlock – this is a tight hug when you or your partner wants to let go. The meaning of this hug is that you are in a serious relationship and you are about each other a lot and apparently you don’t want to get apart ever. This hug is normal if it happens after you haven’t seen in a while. Nut if it happens very often – like almost everyday means that you/your partner have fears of losing each other. This can lead to serious problems and need to be fixed as soon as possible. Hugging a person with minimal contact or particularly with the lower body apart is surely a warning sign. This means that one or both in this relationship are uncomfortable with each other. If you are practicing this hug a lot than you should consider of dealing with some problems. This hug indicates that someone in the relationship has issues with getting close. This hug represents great physical attraction among partners and passionate relationship. For sure you two have interesting and fulfilled life between the bedroom sheets.